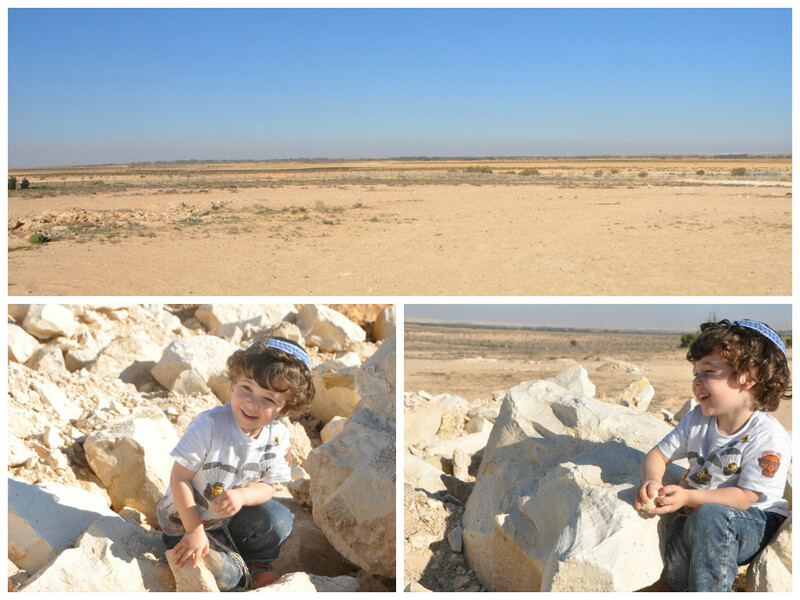 One of the best parts of my job is that I periodically get to take road trips throughout the Negev! Every year we have a few English-speaking Olim (amongst many Russian-speaking Olim) who live and study on Kibbutz Revivim through the Bayit Rishon Bamoledet program. This year, we are thrilled that we also have a young family studying at Revivim’s Ulpan and living on the nearby religious yishuv called Kfar Retamim. The dream for Kfar Retamim began back in the year 2000 by a group of army friends and finally became a reality in the summer of 2009. 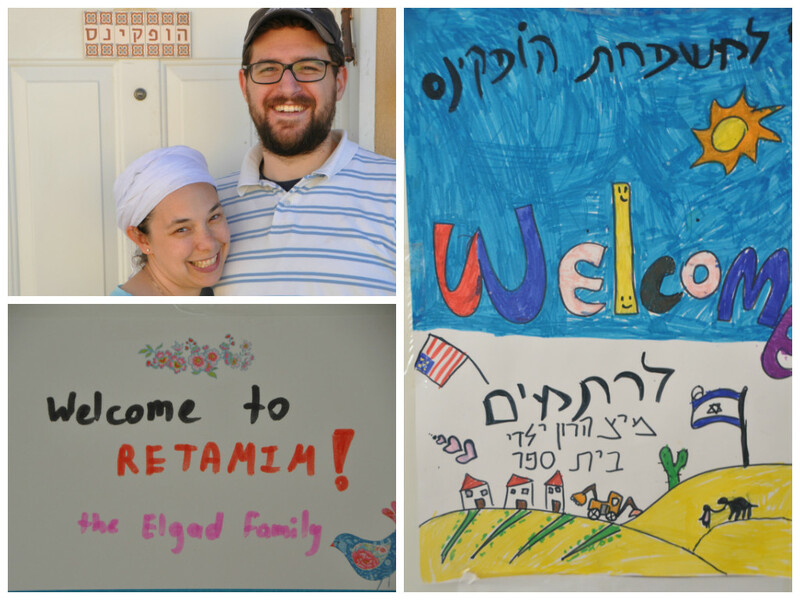 Adam and Rachel Hopkins, who made Aliyah in November 2014 from Boston, were the 90th family to move into the yishuv. But, the “grownups” of the yishuv aged 23-30 are by far the minority – the presence of over 200 small children is felt strongly through the tiny shoes, bimbas, laundry, bicycles, and ganim throughout the yishuv. Kfar Retamim was founded on three main principles: Settlement of the Negev, Religious Tolerance, and Community Involvement. Most new “anglo” Olim feel most secure moving to places in Israel with a high percentage of English-speakers, “Anglo-bubbles” as they have become known. But, Adam and Rachel were open to and excited about doing something different. They wanted to be part of a pioneering effort and their three children -all under the age of 4 – were young enough to easily integrate into a fully-Israeli atmosphere. Because they were the first and only direct Olim to the yishuv, their welcome has been, according to their reports “unbelievable.” Upon arrival from the airport, a huge welcome banner draped the entrance to the yishuv. Their caravan (yes, they and everyone on the yishuv are currently living in caravans) was fully furnished and the refrigerator fully stocked. They were assigned a host family and their neighbors have helped them with everything from lending cars, schlepping luggage, and dealing with bureaucracies. It was a good reminder for me – not everyone needs to or wants to go to what is most familiar. Sometimes, it is “davka” by taking a risk that individuals and families find their true place. Adam gave me a tour of the yishuv – showing me where in the vast desert the first 50 homes will soon be built for the families of the yishuv. He was so excited to show that what is now empty desert space will soon be filled with vibrant young ideological families. As someone who lives in a city (yes, Be’er Sheva is a city! 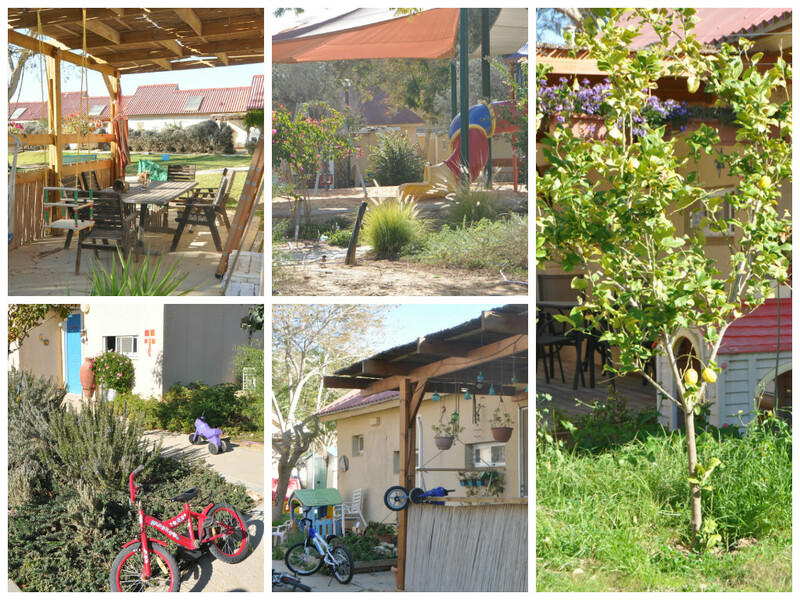 ), every time I visit a small isolated yishuv – it is easy for me to envy and idealize the lifestyle. It is calm and peaceful. It is beautiful. The children are happy. They walk and ride freely; they play outside in the dirt, instead of sitting indoors with an ipad. Of course not everything on the yishuv is as idyllic as I imagine. There are endless bureaucracies involved in advancing the yishuv… While many people work from home or have an easy commute to Be’er Sheva or local army bases, some have to travel far to find employment… With last week’s rains, the yishuv was overrun with mud and floods… Once the children enter grade school, the parents will need to travel or build a school of their own… Supersol delivers only once a week :). But, that is the life of pioneers.